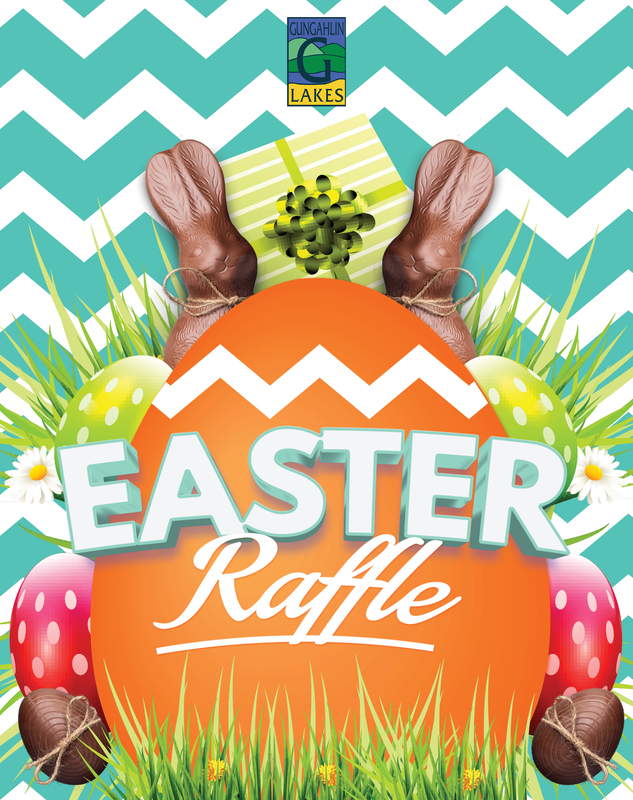 Hop into The Lakes for our annual Mega Easter Raffle! We’re giving away 30 regular hampers & 3 MEGA hampers that are choc-a-bloc full of your favourite Easter goodies thanks to the team at Big W.
Make this Easter eggstra special at The Lakes! The Lakes Restaurant is open from 5:30pm for dinner – reservations are recommended on (02) 6242 6283 or to book online click here.